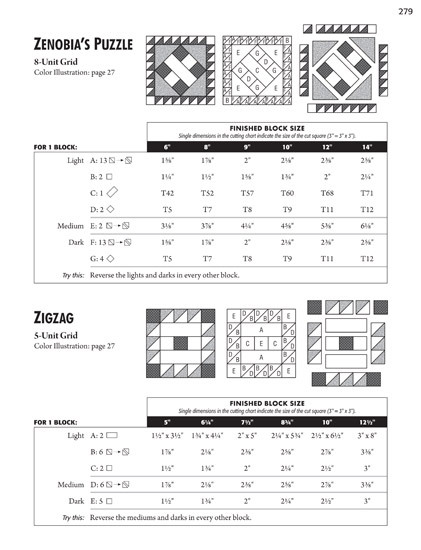 Welcome to the ultimate quilt-block book! 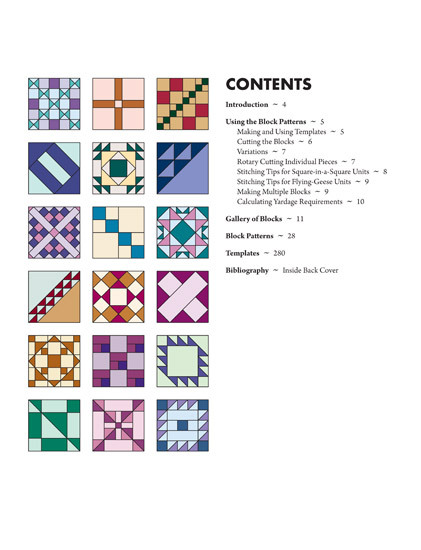 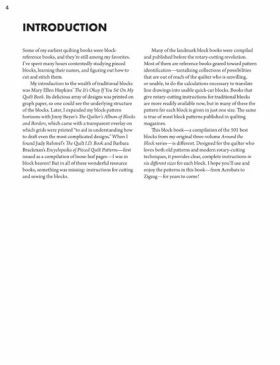 Best-selling author Judy Hopkins combines blocks from her popular Around the Block series into one handy volume. 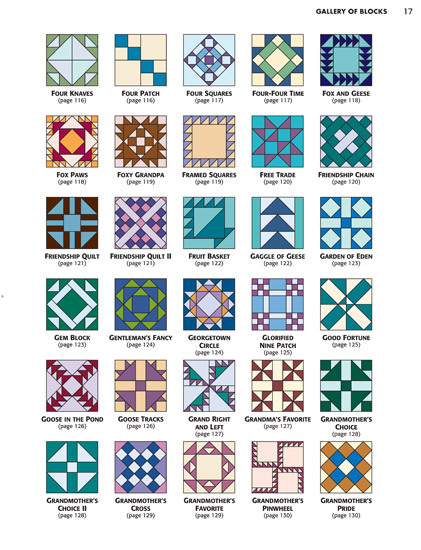 When it's time to add to your own home library, quilting books are a fantastic bargain. 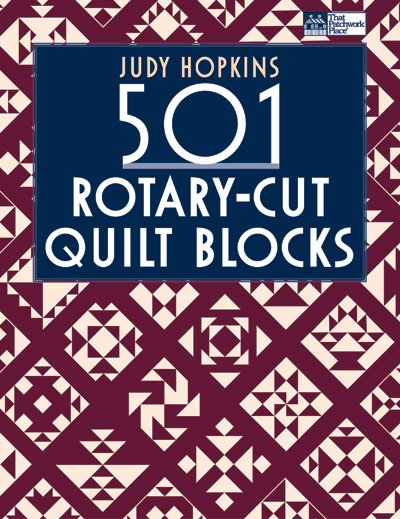 For instance, Judy Hopkins' 501 Rotary-Cut Quilt Blocks sells for $29.95. That's less than $.06 per block. 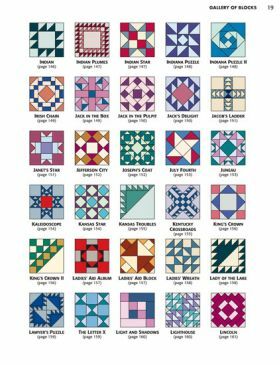 How's that for cheap! 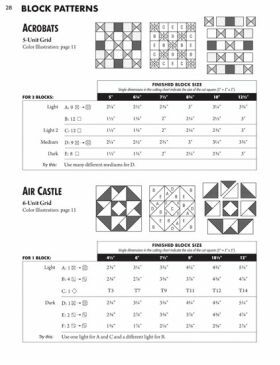 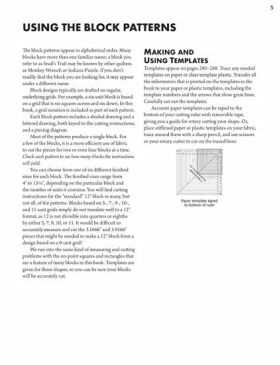 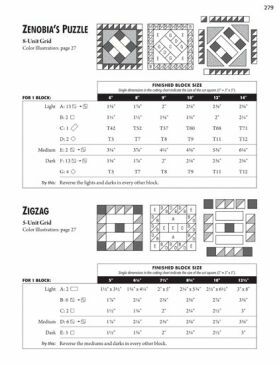 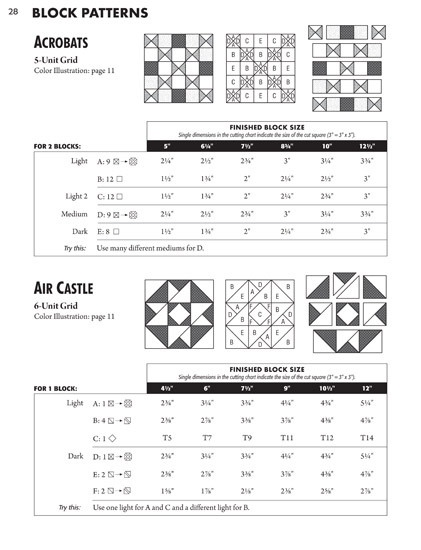 You'll turn to a reference book like this time and again when choosing pieced blocks. Any library strong in rotary quilt blocking must have Judy Hopkins's encyclopedia 501 Rotary-Cut Quilt Blocks of over 500 such quilt bocks. 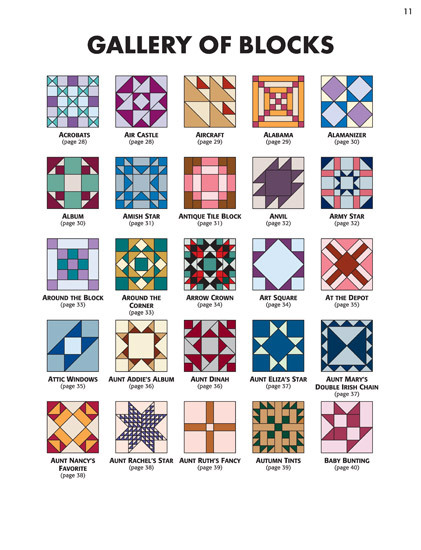 It features complete instructions for each of the blocks, offered in six different sizes for over 3,000 different block possibilities, and it packs in over 3,000 possibilities for blocks. 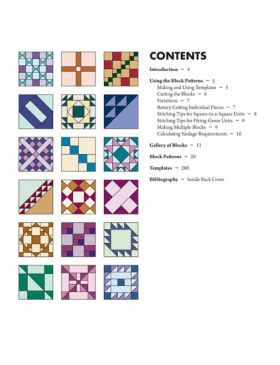 Avid quilters need this compendium of options, and any library catering to them will find it a popular lend. We were saddened to hear of the passing of Judy Hopkins on March 9, 2011. 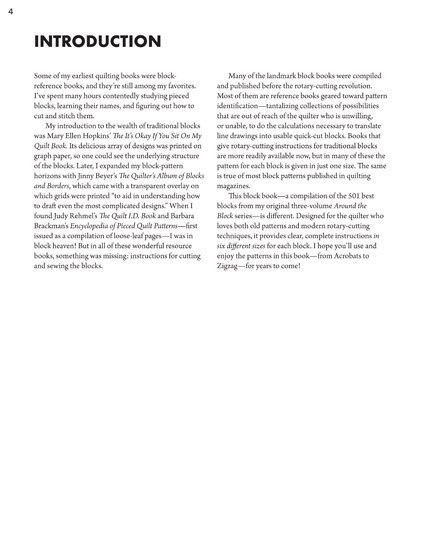 Judy was one of our most prolific and bestselling authors, having published 17 books between 1989 and 2011. Her collaboration with Nancy Martin, 101 Fabulous Rotary-Cut Quilts, has sold more than 131,000 copies. 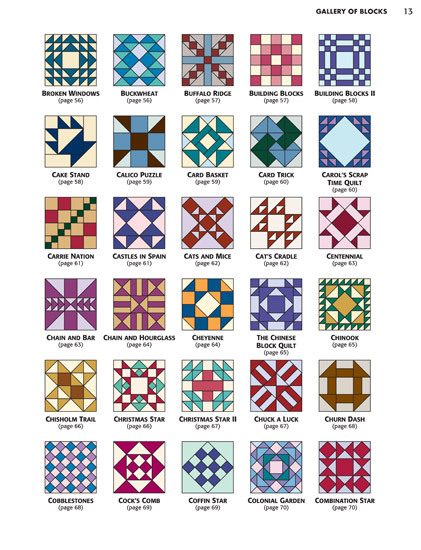 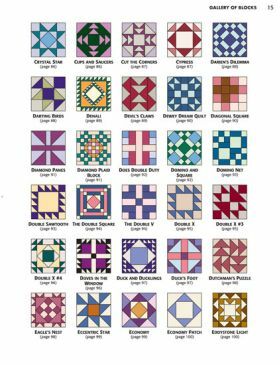 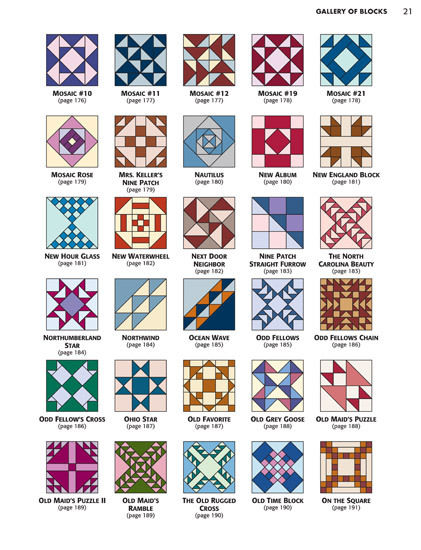 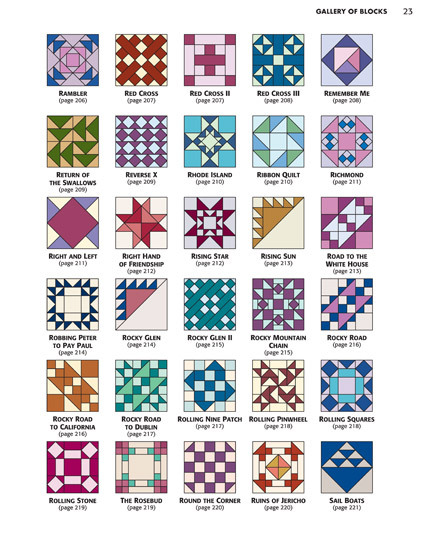 Her Around the Block series, which ultimately became 501 Rotary-Cut Quilt Blocks, was the design source for probably tens of thousands of quilts around the world. 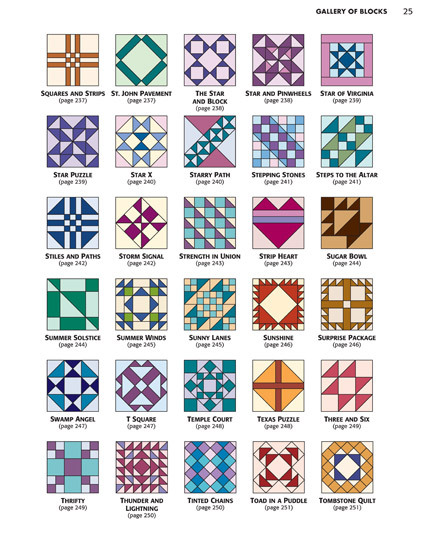 Judy was a major figure in the quilt industry for decades. She will be greatly missed. 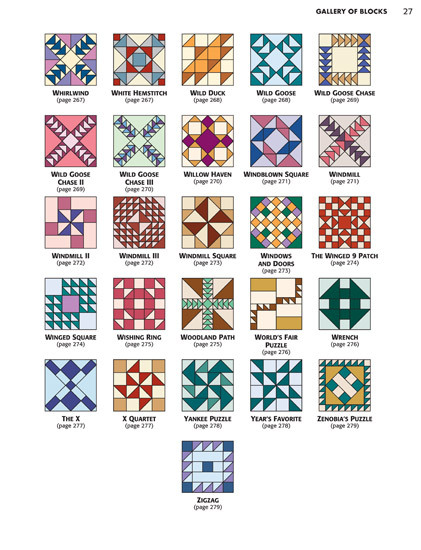 To honor her memory, Judy's family is commemorating her work through a website and blog. Family, friends, and fans are welcome to post comments and share stories about Judy's quilts and the creativity she inspired. 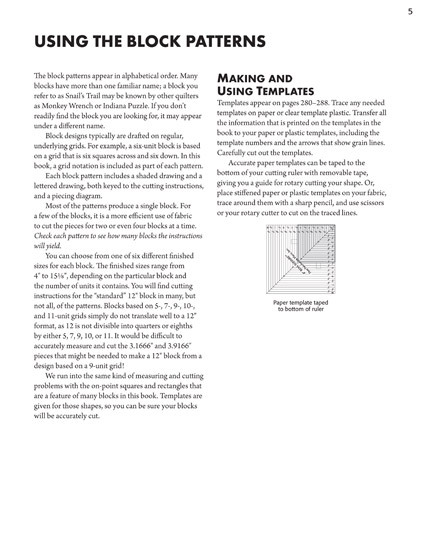 Visit JudyHopkinsQuilting.com.